Student 1: My mother was in the Civil War. Student 2: No, she couldn’t have been in the Civil War. Student 1: Well she didn’t fight in the Civil War, she just helped. Student 2: [to the teacher] How long ago was the Civil War? Teacher: About 155 years ago. Student 2: I don’t think your mother could have been in the Civil War. But maybe if she was an older mother. After stifling some laughter, our guest teacher joined the two students and with prompting questions helped guide them to discover what mathematical operation to use to calculate how much older the “older mother” would have to be. This is a humorous example of how we, as teachers, jump on opportunities to teach mathematics in real, spontaneous situations that come up for students all day long. These “teachable moments” can be thought of as brief opportunities when a child’s interest in a specific subject is at its highest, usually because of a conversation or immersion in a situation that brings on intense curiosity. We love these moments at Breakwater and are ready for them wherever they may arise. We also teach in structured, thoughtfully pre-planned ways. 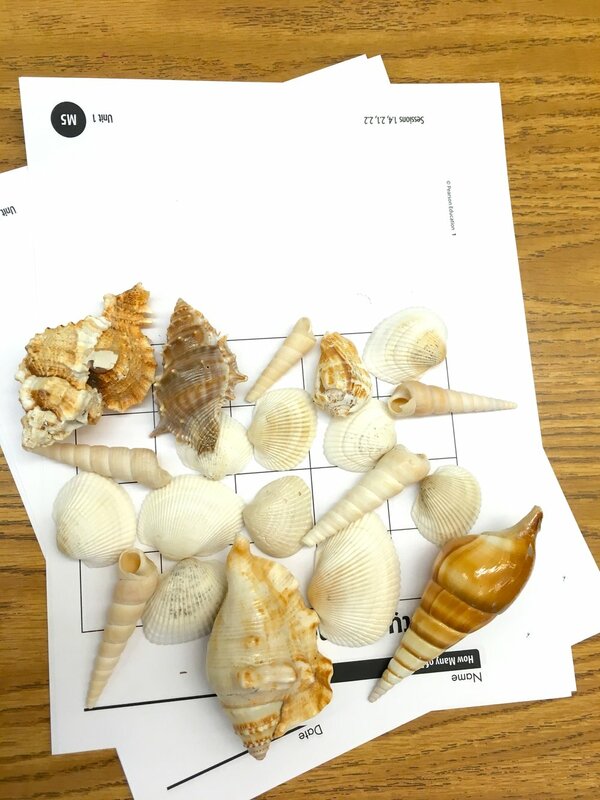 Our first and second grade math curriculum appears as follows in our Breakwater Curriculum Overview, a document available on our website and covered during our Curriculum Night in October and Step Up Night in February. begin to understand addition, subtraction, and strategies for addition and subtraction with numbers 0-20.
develop an understanding of whole number relationships and place value, including grouping in tens and ones. use non-standard units of measure to measure various objects and materials. begin to understand the attributes of various geometric shapes. 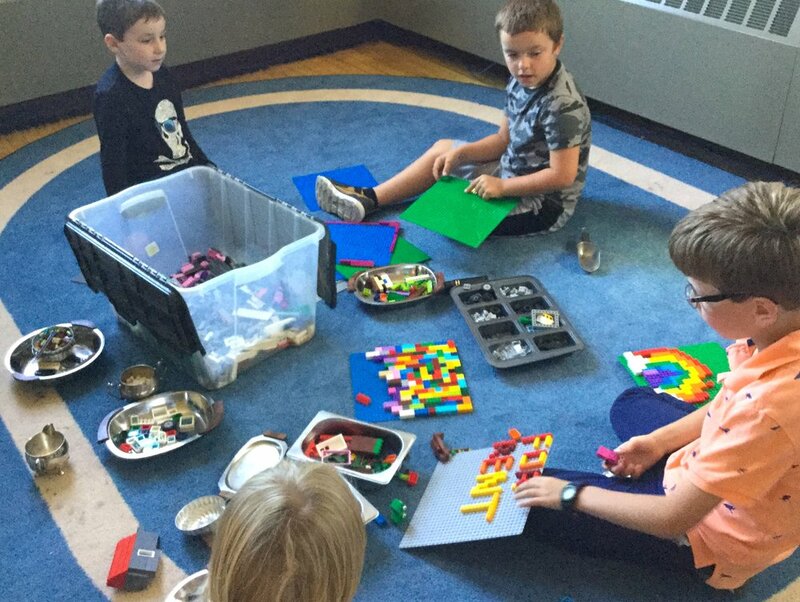 continue to be exposed to and practice major math concepts: counting, estimation, sorting and classifying, place value, number sense, computation, measurement, time, fractions, geometry, surveying and graphing. 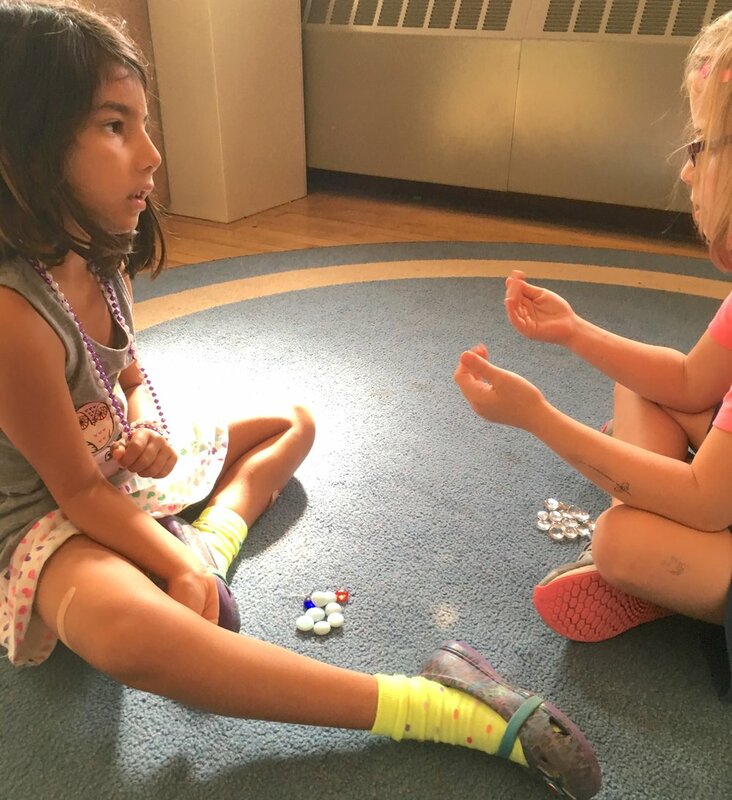 build fluency with addition and subtraction within 100, and develop understanding to solve addition and subtraction problems within 1,000.
extend understanding of whole number relationships and place value, including groupings in thousands, hundreds, tens and ones. use standard units of measure to measure various objects and materials. describe and analyze geometric shapes. develop and practice major math concepts: counting, estimation, sorting and classifying, place value, number sense, computation, measurement, time, fractions, geometry, surveying and graphing. Below, I have linked each of these goals to a teaching methodology we are using in the classrooms this year. While we achieve these goals through more than one teaching approach, my intent is to share some of the ways we are intentionally and actively ensuring that children are working to master the skills important at this developmental stage. Our beginning of the year assessment is a process of gathering information about each student, reviewing the information, and then using the information to plan educational activities that are at a level the child can understand and is able to learn from. This is important both for the children who may need some extra support and for the child that may benefit from an extra challenge, as well as children “at grade level”. As we go along, we continue to assess both with written assessments and through observation. This way we have clear documentation and an understanding of what each individual student needs from us and we can support them with the right materials, information and support. We teach both our first and second grade mathematicians by utilizing a variety of instructional methodologies and remaining responsive to what the continual assessment of individual students tells us about their needs. Manipulatives and other materials: Manipulatives are physical objects that are used as teaching tools to engage students in the hands-on learning of mathematics. They can be used to introduce or practice a concept, or facilitate discovery through play. Math manipulatives are proven tools used by teachers to help make abstract ideas concrete, to help build students' confidence by giving them a self-correcting way to test and confirm their reasoning, and to help make learning math interesting and enjoyable. 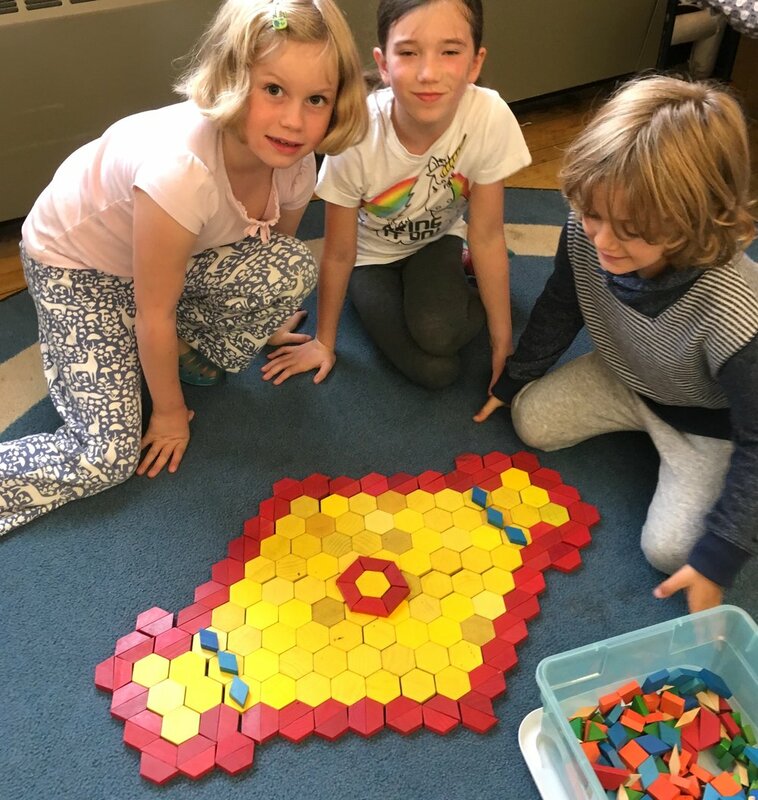 Pattern blocks are especially helpful to practice several of the major math concepts in the 1/2 curriculum including counting, sorting and classifying, fractions, understanding the attributes of various geometric shapes and, later, to describe and analyze geometric shapes. Another material we use consistently is the interactive number chart, which is a great way for students to discover number patterns, skip count, to introduce multiplication tables, reinforce rote counting to higher numbers, as well as practice number formation. We also use Unifix Cubes to support computation, measurement and graphing work, and extend understanding of number relationships, including groupings in hundreds, tens and ones. Worksheets are also used thoughtfully in both first and second grade. 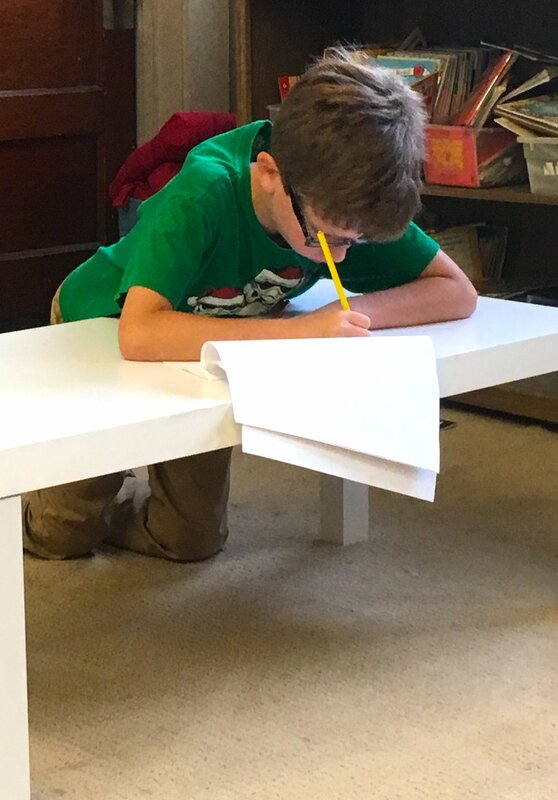 Worksheets have garnered a bad reputation in some educational circles for their use as easy classroom management tools which may replace good, quality hands-on opportunities. However, used thoughtfully in small groups or to provide individualized differentiated practice for specific students, worksheets supplement and enhance math instruction in valuable ways that reinforce understanding and provide valuable opportunities for self- directed assessments. Worksheets are helpful in time telling, too, although much of this work is learned by, well… actually telling the time. 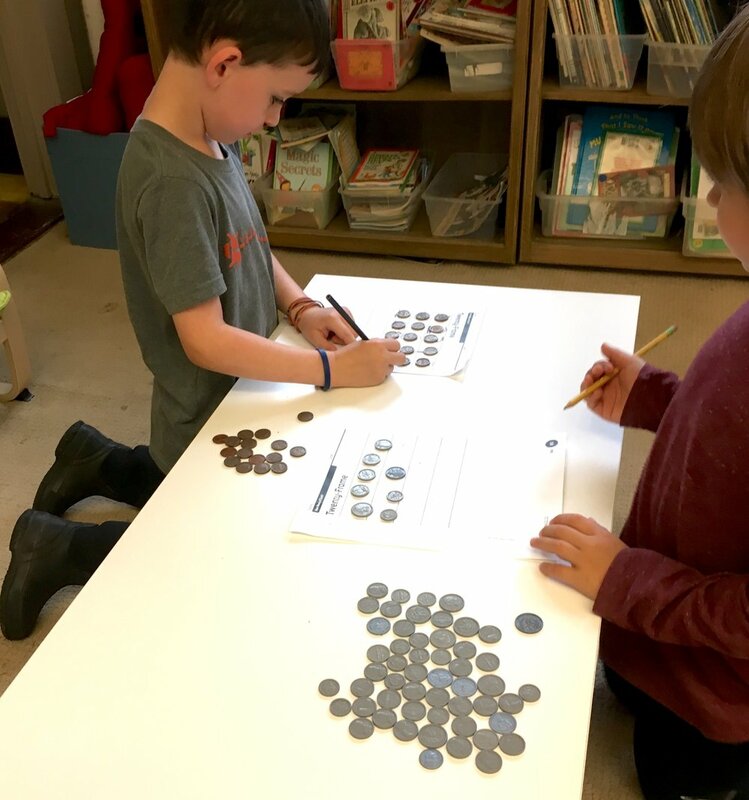 Worksheets and math manipulatives can also provide opportunities for independent work which during which children are developing independence, stamina, and accountability, while learning and practicing math skills. Using Play: Play is the natural way in which children learn. It is the process through which children explore, investigate, recreate and come to understand their world. Play is an activity in which everything that a child knows and can do is practiced or used to make sense of information. Allowing children time to play is a powerful teaching- sometimes this is hard for observers to understand because, especially in the “hard sciences,” we’re often told success is only about the memorization of facts and algorithms. 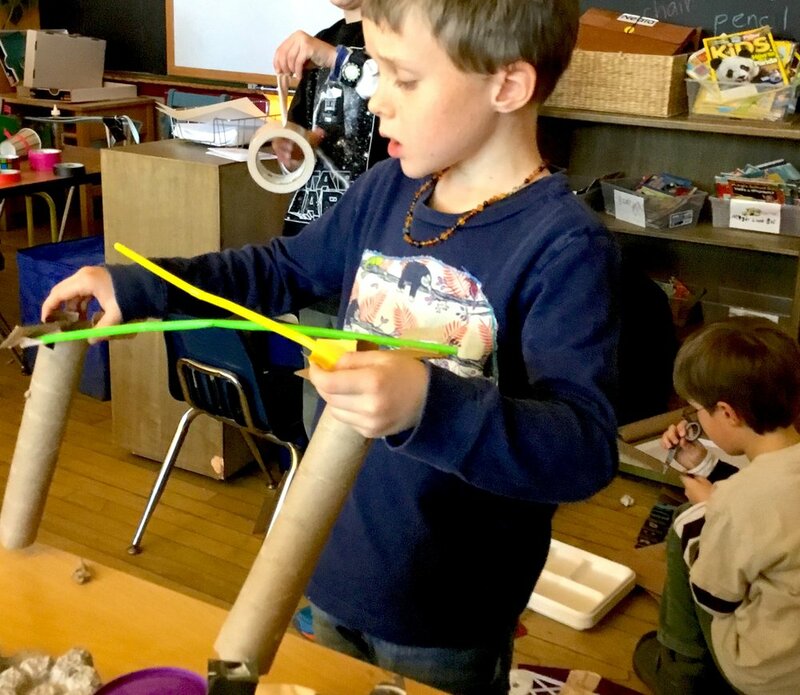 However the learning that comes to children through play around math and science is just as legitimate and essential as in literacy and social studies. We believe this at Breakwater all the way through the early grades and even our middle school math curriculums make good space for “mucking about” to make self discoveries. A persuasive body of evidence supports our approach to play and discovery in the mathematics classroom. During purposeful play, opportunities for mathematical thinking and understanding emerge naturally: What can I do to make the pattern block tower taller? How many cubes did I use to make that train? Do I have enough cubes to make it as long as the room? Here, students are problem solving and naturally using non-standard units of measure to measure various objects and materials. When teachers also provide rulers, children then begin practicing the use of standard units of measure. 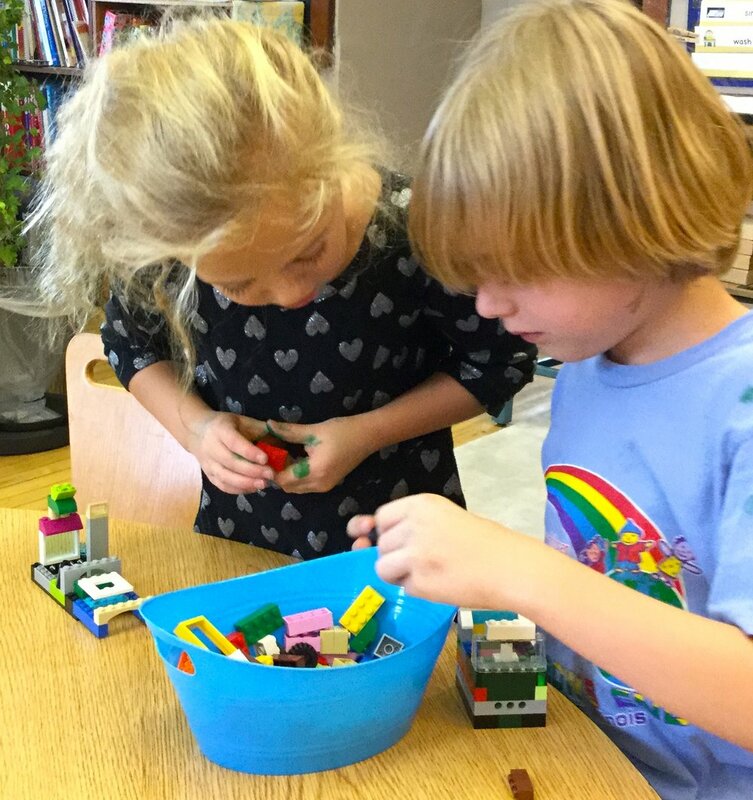 Students strengthen their algorithmic thinking skills through play all the time. By working together students are designing simple algorithms based on sequencing, repetition, and conditional logic to solve fun problems. As with the explanation of the “teachable moment” above, teachers are actively observing students’ games, and as mathematical ideas emerge we help as students notice new patterns, relationships, and strategies. Integrated Number Work: Breakwater’s curriculum is built around an integrated teaching model. While students are doing thematic units of study, number concepts are brought to students’ attention or intentionally embedded in the work. 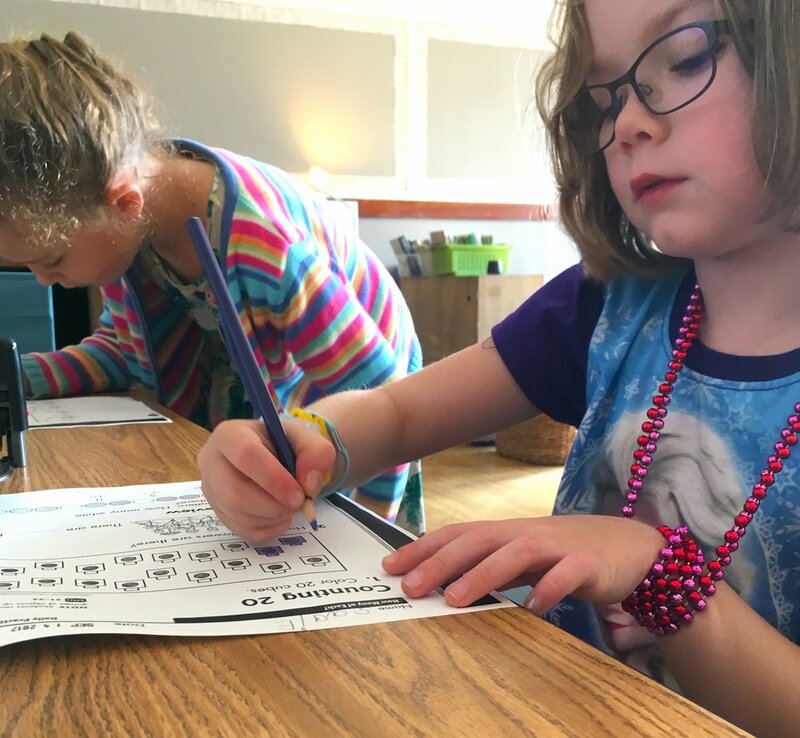 Similar to our belief that for literacy development children should do a set number of things each day, the integrated number work allows immersion in the learning experience at a frequency and level that achieves optimal concept retention. During integrated study, teachers are also able to rotate through and meet differentiated needs, helping to ensure that we are meeting the individual needs of students, targeting any lagging skills, or providing additional materials to challenge students when they are ready. “Best practice” in mathematical teaching is at a really fun and interesting place. With the focus on STEM (science, technology, engineering, and mathematics) education researchers are presenting new and exciting ideas about how best to help students develop the kind of math skills that will they will need in today’s environment. A lot of the ideas are ideas progressive learning environments, like Breakwater, have used for years - but new resources and professional support is welcome to enhance our practice even further. Breakwater teachers, myself and Julia included, participated in a year long professional development deep-dive into math education last year and are continuing to integrate our learning in exciting ways. How does math literacy develop? What practices best support this development? Can we inspire all kids to embrace mistakes, celebrate challenges, and self identify as mathematicians? Please follow this link to last year’s blog post “Faculty Professional Development: Growing our Math Minds” and watch Stanford mathematics education professor Dr. Jo Boaler’s TED Talk on brain research and messaging.